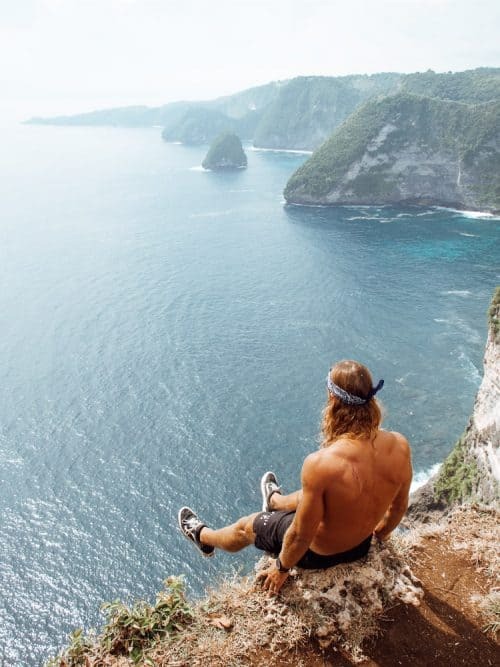 The Banah Cliff viewpoints are located on the west coast of Nusa Penida Bali. From the main harbour of Toya Pakeh, it is approximately a 45-minute drive. You can rent a scooter at the harbour here for 70,000 Rupiah per day. 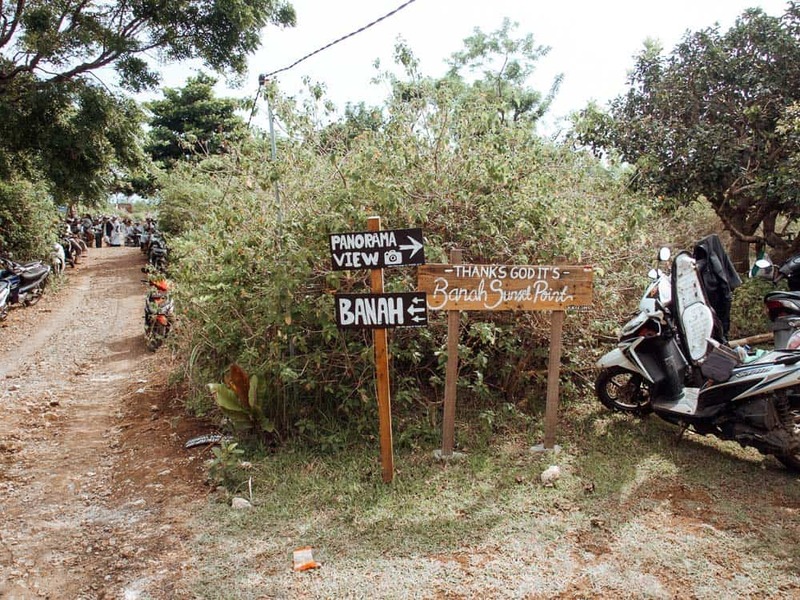 Alternatively, most accommodations will help you to organise a scooter rental during your time spent on Nusa Penida Island. You will know you are in the right spot when you see this sign shown above. To the right is the panoramic view and sunset point and to the left is the Banah Cliff. The panoramic viewpoint faces west and offers extreme views of surrounding cliffs, perched high above the ocean. On a clear day, you can actually see the tail of the T-Rex at Kelingking Beach. Be very careful when taking photos here as there is no safety barrier to protect you from falling hundreds of feet to the ground. Know your limits. The Banah Cliff faces east and offers an awesome viewpoint of the arched rock island out to sea. Again, watch your step along these rocky cliffs. 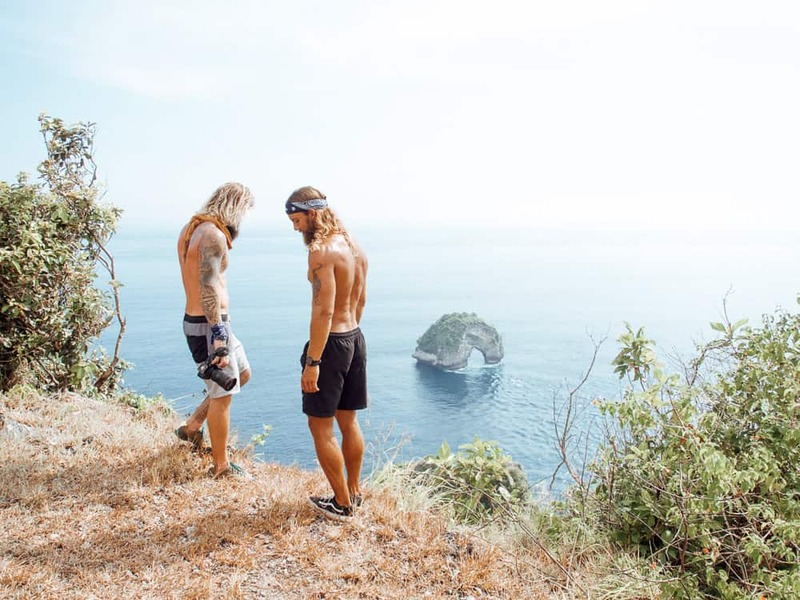 The best time to visit the Banah Cliffs is anywhere between 9am and sunset. 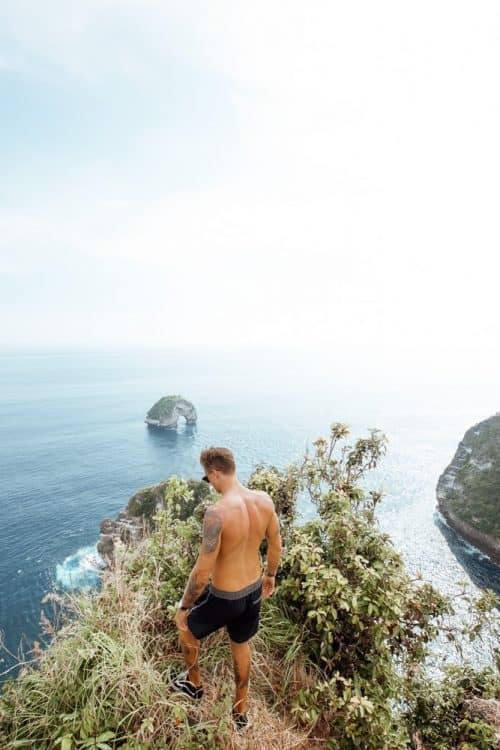 I would have loved to experience a sunset at this location, though due to limited time on Nusa Penida we decided to hit Kelingking Beach instead. 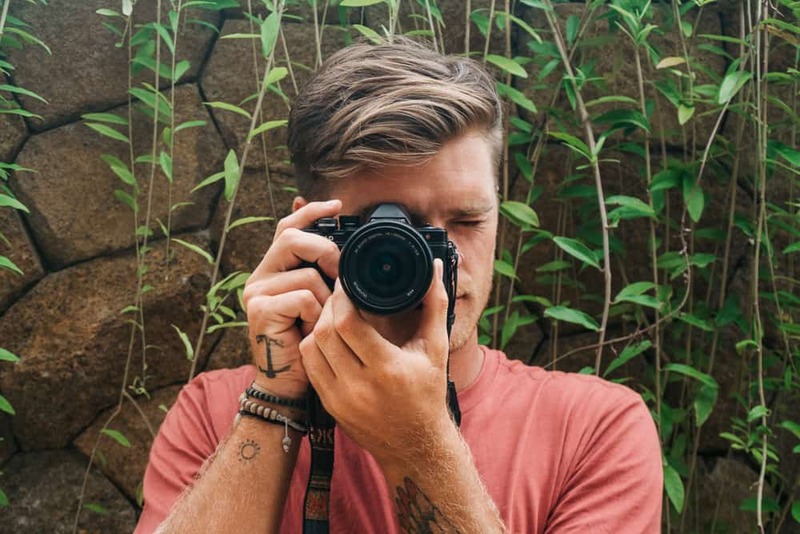 You can take a look at my most popular post from sunset at Kelingking Beach HERE! 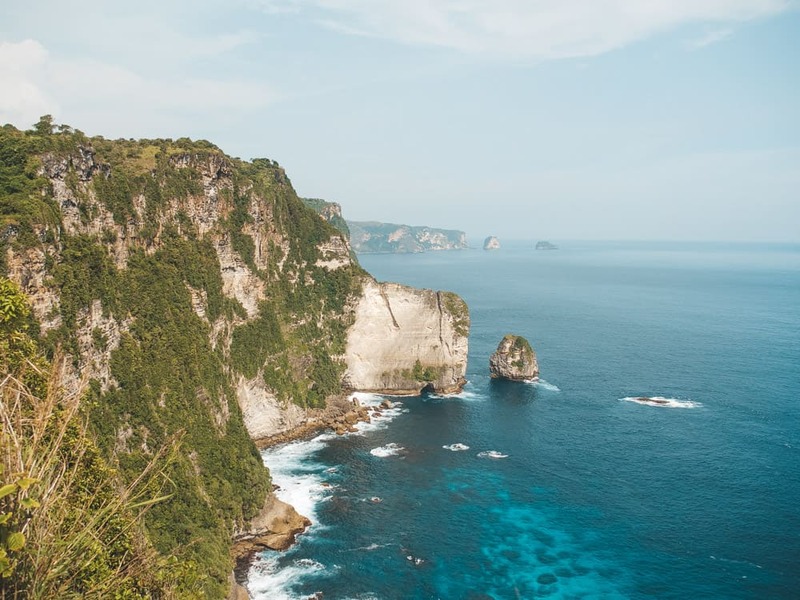 I cannot recommend exploring Nusa Penida Island enough to those who are keen for an unforgettable adventure! 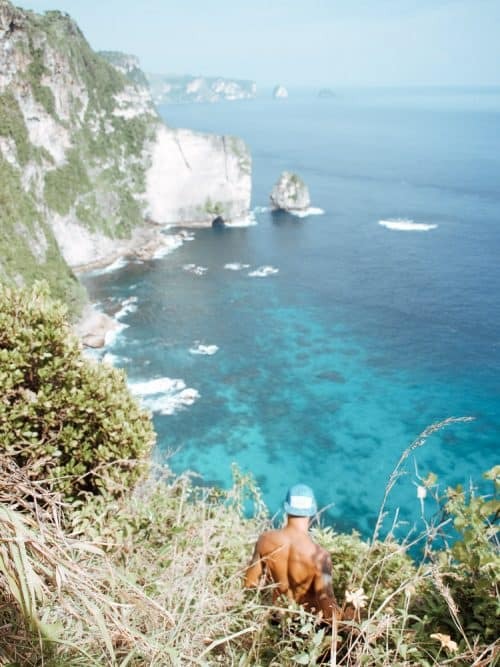 The scale of the cliffs, the unique beaches and extreme viewpoints are unlike any I have ever seen. 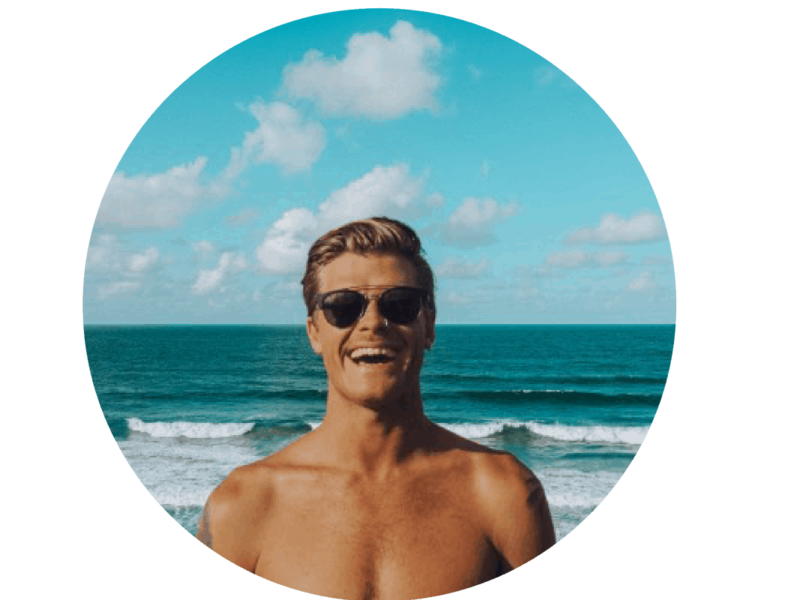 Thanks for reading this article and if you have any questions about Banah Cliff please drop me a comment below.